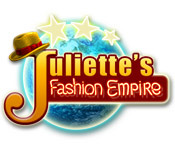 Juliette's Fashion Empire is rated 4.1 out of 5 by 23. Rated 5 out of 5 by monkeyfries from combines posh boutique and jojos fashion show this game combines them beacuse it you must sever the models as guest from posh boutiqe and you must dress the models and send them to the runway like in jojos fashion show but it has u compite against other designers for a tricker part of the game and thats hard you think you wont will but if you try to keep the door open for more people then u can get more money with more models i think this is a great game i would love a 2nd juliette its so cool :) :) :)\ I LOVE IT!!!!!!!!!!!!!!!!!!!!!!!!!!!!!!!!!!!!!!!!!!!!!!!!!!!!!!!!!!!!!!!!!!!!! 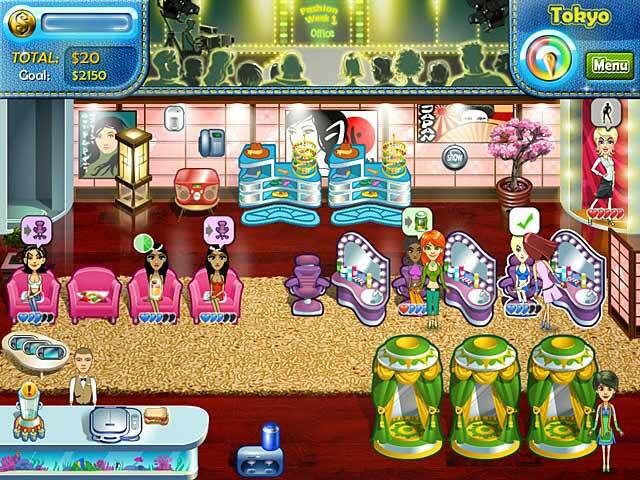 Rated 5 out of 5 by rayrayisawesome4 from fun fashion game!!!!!! this game is very fun. you get to put on an outfit, makeup, and accessories. Rated 5 out of 5 by catbag8717 from Just As Good As Jojo's Fashion Show, Maybe Even Better!!! I really really liked this game, drawn in to it by Jojo's Fashion Show, and boy was I impressed! Good Parts: Upgrades helped a lot. Upgrades such as assistants made the game so much better and easier. The game was actually so much fun to play, especially as I was trying to beat someone else! I don't know why people are saying the game is too easy. Yes, the game is simple, but it's a great challenge. Very easy controls, very straightforward gameplay. The best thing about this game is when you enter a new city, you get to keep ALL your upgrades from the old city! Don't know of any other game that does that. OK Parts: The graphics all round are pretty average. They need some serious re-designing. I didn't like the intro, but the rest of the story appealed to me. Bad Parts: Got a little ovewhelemed at times. Game is a little repetitive. Would've liked more variety. This game is absolutely brilliant. Hands down one of the best time management games I've played. Downoad the free trial , you will not be disappointed!!! 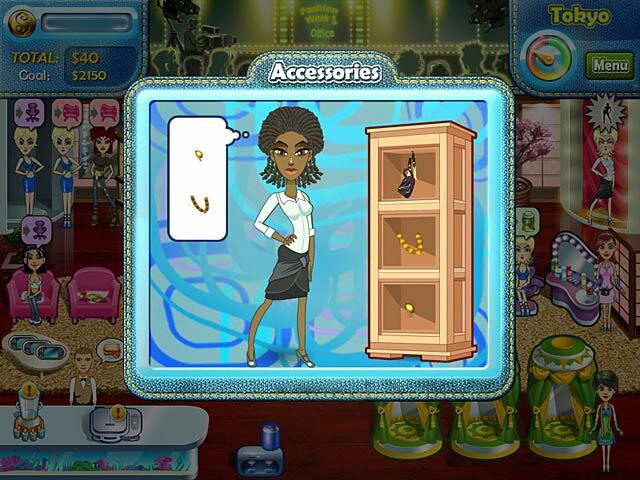 Rated 5 out of 5 by ergo1024 from very nice timemangamentgame Fun game about fashion and shows. A little bit of stragy thinking help you to win. 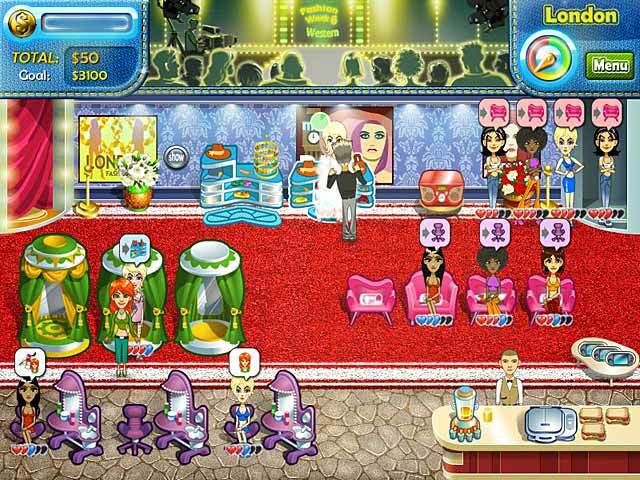 Rated 5 out of 5 by Snowfoxx from Addictive, like chocolate This is one really fun girly game, and if you like time management titles and fashion games, then this is great mix of the two. We play as Juliette, and up and coming designer from New York. She has a little boutique, but her upstart is really falling flat until she gets a call from a competitive classmate. Adrian has set Juliette a challenge, and the first one to have a celebrity class shop in New York wins. Juliette knows she can beat Adrian, and from there, the world will become her oyster, or so she thinks. From there we set up a backroom prep area to send models for Juliette's designs at Fashion Week. Each week features a new theme, and we get new models from all over the world, from the shy British bookworm to the impatient South African diva. Each new show brings us new customers and ways to upgrade our prep areas to make the models more comfortable, because some of theses ladies can be impatient, and a model with a bad attitude won't sell Juliette's upbeat designs. Juliette speeds along in her shop, and with the upgrades, we can hire staff members to help us, and add things like video games and energy drinks to keep the girls' spirits up. I only played the demo, and was rather disappointed when my hour was up, but I think I'll go back for a second helping of Juliette's Fashion Empire soon, so I can see how she gives that arrogant Milan designer, Carlo, the business, among other things. There are some games you just can't get enough of, like Heroes of Kalevela, and this game is another one just like it. Rated 5 out of 5 by Smurfette1999 from Great game It is a great game and you will like it if you prefer games to do with fashion. As a girl, I loved it because it gave you different ideas of fashion like office, country, nights and swim wear. Rated 5 out of 5 by Tastetherainbow1 from Luv it!!!! I luv luv luv it! It is so much fun and anyone would luv to play it! It is a really FUN game!!!!! I recommend it to everyone!